Since 2004, J & J Window Cleaning’s skilled technicians have worked diligently, washing windows to make the remarkable views of our valley’s skyline flawlessly clean and clear. We understand the need to keep your residential windows, storefront plate glass, or commercial property looking its best at all times without any hassle. We are aware of the importance of protecting your window and glass investment and helping to reduce your liability as a property manager or owner, plus we have the track record to prove it. At J & J Window Cleaning, our window washing technicians are well trained, hard-working and professional! The window cleaning and power washing equipment that we use is topnotch. Our company cleaning procedures for residential windows and commercial windows are proven to be effective and safe. 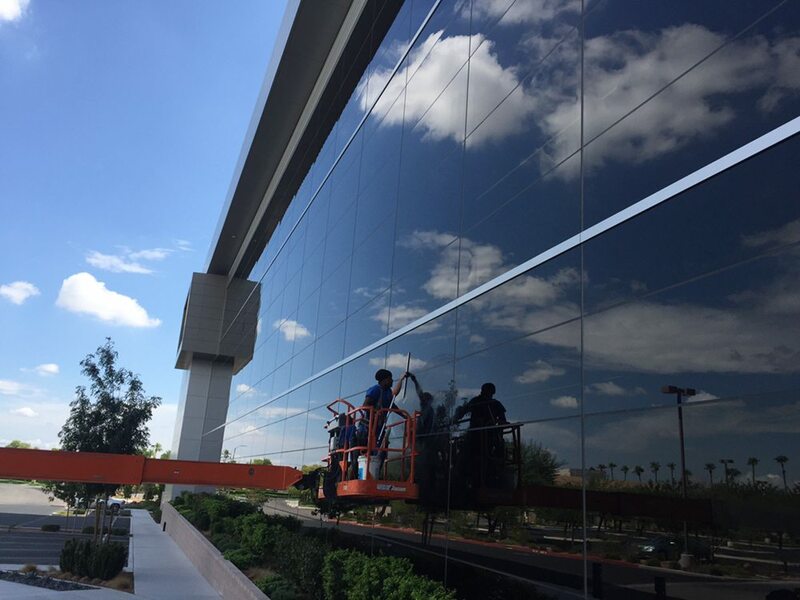 There is no other Las Vegas window cleaning or pressure washing company like us because our service is the best! If you need a local window cleaning, power washing or construction clean-up service, contact J & J Window Cleaning. We are proud to service Las Vegas, Henderson, North Las Vegas, Boulder City, Clark County and the surrounding areas. Fill out the request form to get a free quote or call us today! Contact us for a free quote on cleaning all the windows in your home! Contact us for a free quote on commercial window cleaning at your location. Contact us for a free quote on our pressure washing services!